I was never a perfectionistic. However, I had many friends who were—and they complained to me often about its effects (sometimes without even realizing that it was perfectionism that was causing the glitch in the schedule or the complaining husband or the uncooperative children). 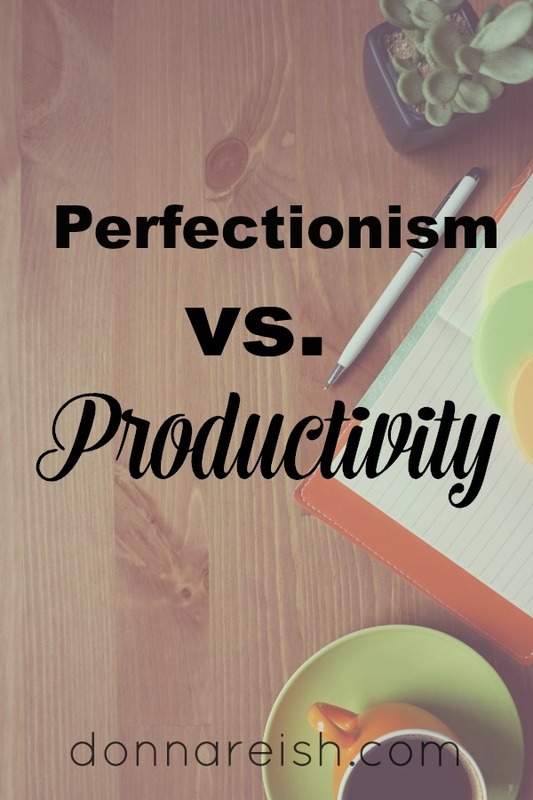 And I’ve been teaching this concept everywhere I go every chance I get—that perfectionism causes us not to move forward in the home, relationships, a business, and life. And—ways to conquer it. This video (and outline) is intended to help you with that. Praying that it does! Blessings to you as you seek to become more productive!